All links have been removed because this list is outdated. Click here for the current list of top credit cards for travel. Whether you’re looking for free luxury hotel stays, first class flights, flights home to see family, or big rewards on gas or groceries, there are some fantastic credit card bonuses out there. I’m writing this post from Singapore in the middle of a six-week world tour that would have been completely impossible without miles and points earned from credit cards. My trip is taking advantage of American Airlines miles, Starpoints, Ultimate Rewards, Lufthansa miles, and Arrival miles, all of which I got from credit cards. How can you earn rewards for the trip of your dreams? What are the best credit card offers for February 2014? With recent devaluations to the United and Delta award charts, American Airlines miles are the most valuable miles for now. American Airlines miles are the undisputed best miles for ultra-luxury redemptions, and the miles are valuable for trips to Asia, South America, Europe, and Australia. On my current trip, I spent 67,500 American Airlines miles for a First Class redemption from New York City to Singapore with 23 hours in Macau along the way. Citi offers the American Airlines Executive Card with 100,000 bonus miles after spending $10k in the first three months. Beyond the sign up bonus, the other huge benefit that cardholders get is free lounge access in Admirals Clubs. Beyond the huge minimum spending requirement, the other big drawback is a $450 annual fee. The Inks are business cards with 50,000 Ultimate Rewards sign up bonuses after spending $5k in the first three months. Ultimate Rewards transfer 1:1 to United, British Airways, Korean, Southwest, Virgin Atlantic, Hyatt, Amtrak, and more. The Inks earn 5x points on internet, phone, and cell phone bills; 5x points on purchases at office supply stores; 2x points on hotels and gas; and 1x points on everything else. The Inks have no annual fee the first 12 months, $95 thereafter. The Ink Bold is exactly the same as the Ink Plus except the Plus is a credit card and the Bold is a charge card. That means the Bold must be paid off in full each month, while you can run a balance on the Plus. Because of this difference, I have gotten both for the same business. I used Ultimate Rewards (transferred to Hyatt points) to book the Grand Hyatt Macau and Ultimate Rewards (transferred to United miles) to book my Slovenia to North Carolina flights. The Chase Sapphire Preferred is a personal card that earns 40k Ultimate Rewards after spending $3k in 3 months. Ultimate Rewards transfer 1:1 to United, British Airways, Korean, Southwest, Virgin Atlantic, Hyatt, Amtrak, and more. The Sapphire Preferred earns 2x points on dining and travel. Dining includes bars, restaurants, and fast food. Travel includes airfare, hotels, taxis, rental cars, tolls, parking, and much more. The other big bonus is a 7% annual points dividend each January on all the points earned in the previous calendar year. The Sapphire Preferred has no annual fee the first year, then $95 thereafter. The American Express® Premier Rewards Gold Card is a personal card that offers 25k bonus Membership Rewards after spending $2k in the first three months. Tip: Some people are offered a 50k offer through the CARDMATCH targeted offer tool as of 11/25/13. Check out this post for more info on that offer. Get 25,000 Membership Rewards® points after you spend $2,000 on purchases on your new Card in your first 3 months of Card Membership. Earn Fast: 3X points for flights booked with airlines, 2X points at US gas stations and US supermarkets, 1X points on other purchases. Terms and limitations apply. You can transfer points to over 20 frequent traveler programs or use points for gift cards at popular stores. Use your Card for retail, dining, travel or groceries, then go online and use points towards your eligible charges. As an added bonus, you can get 15,000 points after you spend $30,000 in purchases on the Card in one year. $0 introductory annual fee for the first year, then $175. Membership Rewards themselves are very valuable and flexible since they transfer to airlines in all three global alliances, plus unaffiliated airlines like Frontier and Hawaiian. I used Membership Rewards to book myself a flight in Singapore Suites on this trip. The card has no annual fee the first year, then $175. The Starwood Preferred Guest® Credit Card from American Express offers 25,000 bonus Starpoints after spending $5k in the first six months. Starpoints are the most valuable and the most flexible points in the world. I laid out their many uses in my Starwood Preferred Guest Primer. The miles transfer at a 20k-Starpoints-to-25k-miles ratio to American Airlines, US Airways, Delta, British Airways, and about 20 more airlines. Free hotel nights start at 2k points. Nights & Flights packages allow you to redeem Starpoints for five free hotel nights plus 50k miles with the airline of your choice. Cash & Points stays let you stretch your Starpoints over more redemptions. Because of the value and flexibilities, the Starwood card is one of the three cards I recommend to big spenders. The card has no annual fee the first year, then $65. I recently transferred 20k Starpoints to US Airways miles to book a dream trip to the World Cup for June 2014. For people who want domestic or economy flights, traditional airline miles are often a poor value. For those flights, cards that earn flexible points that can be redeemed for any flight with no blackouts are often the better deal. The Citi ThankYou® Premier Rewards Card earns those super flexible points. The card has no annual fee the first year, then $125. I just got my Citi ThankYou Premier Rewards card this month, and I have not had a chance to use the rewards yet. The Barclaycard Arrival Plus™ World Elite MasterCard® is another great card for families that travel in economy without much flexibility, since Arrival miles can be used to book any flight on any airline with no blackouts. Miles can also be redeemed for any hotel or other travel expense. This card comes with 40,000 miles after spending $3,000 in the first three months. With this card you can book any flight on any airline at any time, or any hotel, or rental car, then redeem your miles for a statement credit equal to the cost. In other words, the 40,000 miles could be used on any $400 flight without the need to find award space. You would even earn miles for flying the flight, since the airline will see it as a cash ticket! Plus you get a 10% rebate after every redemption for travel, so after redeeming the 40,000 miles for $400 in travel, you get 4,000 miles back, worth $40 more dollars. I got my Arrival card last month. I plan to use the miles for free hostel stays, ferry rides, and train trips for the next six weeks! No other card gives me that flexibility. This card earns 2 miles per dollar, which is 2.28 cents back toward travel, on all purchases. This card fills the gaps in a miles strategy because the rewards are perfect for cheap domestic flights or hotels that otherwise would be bad redemptions with traditional airline miles and hotel points. There is no annual fee the first year, $89 thereafter. The Citi Hilton HHonors Reserve Card is the best card for giving you free luxury hotel nights. The card comes with two free nights at Hiltons worldwide after spending $2,500 in the first four months. The free nights are best spent at top-tier Hiltons and Conrads that can go for $500 or more per night. This card is perfect to get aspirational stays at top tier properties like the Conrad Koh Samui that goes for 95,000 Hilton points per night and costs more than $1k per night. The card also comes with Hilton Gold Status, so you can enjoy free internet and breakfast on those stays. The card earns 10x points on Hilton stays, 5x on airlines and car rentals, and 3x on all other purchases. There card has no foreign transaction fee. The annual fee is $95. The Frontier Airlines World MasterCard® comes with 40,000 bonus miles after spending $500 in the first 90 days. The 40,000 bonus miles are enough for two roundtrips anywhere in the US that Frontier flies, including Alaska. Frontier has a great route network in the continental US, Alaska, Mexico, Costa Rica, and the Caribbean. Award space is wide open on these routes, and award prices are dirt cheap at 10k miles each way in the US, including to Alaska, and 15k each way internationally. 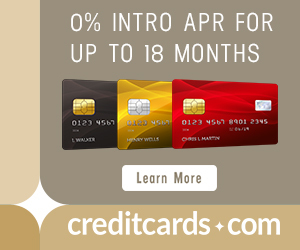 I recommend getting the card now because I have never seen a higher sign up bonus on it. The card has a $69 annual fee. The Platinum Card from American Express Exclusively for Mercedes-Benz comes with 50,000 Membership Rewards after spending $3,000 in the first three months. The card comes with a $475 annual fee in the first year. But it comes with huge benefits like airline fee reimbursement, airport lounge access, and hotel status. For more info on setting up and maximizing the benefits, see Get the Most Out of Your Platinum Card. Frontier has plenty of open award space to Alaska for 20k one-way, which is their Choice Award. As of right now, there are zero award spaces available to Alaska for just 10k one way all season (April to August). If you’re going to Alaska with four people, your best bet is to get one Frontier card and buy two cash fares and then take advantage of the 15k miles RT for companion fares. world cup lottery results are in: we are 0 for 7. Did you get any? Probably you are aware, but CitiAA: $450 less $200 credit once you spend at least $200 ==> $250 annual fee. It is in fact credit on *any* charge, not specifically AA. Is there any other AAdvantage credit cards that I could substitute in place of the Citi Executive AA MasterCard? Even with the $200 airline credit, the $450 annual fee is quite steep. 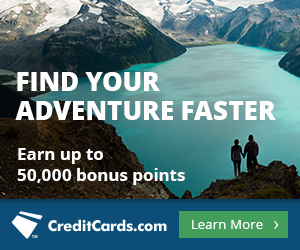 Citi offers the American Airlines MasterCard with 50,000 bonus miles after spending $3k in three months. The other huge benefit is that cardholders get a 10% rebate on all American Airlines award redemptions up to 100k redeemed/10k rebated per year. Example: You book Cathay Pacific First Class from San Francisco to Hong Kong for 67.5k miles. In a few weeks, you get 6,750 miles rebated to your account. The card also comes with a free checked bag, priority boarding, 25% off onboard food purchases, 2 miles per dollar on AA flights, and one mile per dollar on everything else. The business card has similar terms like 50k miles after $3k in 3 months, and a $95 annual fee waived the first year. Great post, I was not too familiar with the Frontier card so thanks for that info. The other card I think has tremendous value, especially for folks on the west coast, is the British Airways card. The $50K bonus is enough for 2 RT to Hawaii.